Unfortunately, I can’t remember when I was offered the opportunity to review this book…it was either late last year or early this year. Anyway, my apologies to the author and publisher for the delay. Getting straight to the point, I believe the author of this book set the tone for me of the entire book in the book’s Foreword when he proceeds to spend too much time criticising the critics of his first book and then refers to McCartney’s movie “Give My Regards to Broad Street” as shallow and self-centered. I personally loved the movie. John Cherry (the author) seems incredibly shallow and self-centered in his presentation of the facts of McCartney’s solo career. I’m not sure exactly what I was reading. This book is not a guide…since there is no indexing of songs. I guess it could be a biography, but there is so much missing…including song titles! Several times throughout the book, the author spends entire paragraphs detailing a song…but fails to mention the song title. “Mull of Kintyre” was a standout example. 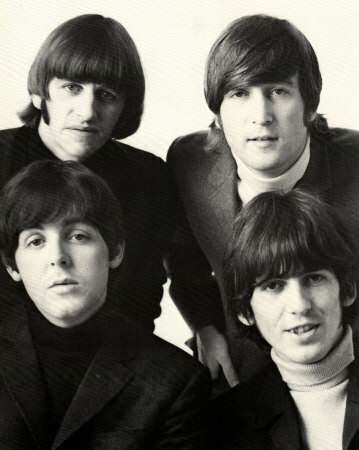 The reader is also introduced to much of Mr. Cherry’s private life as he continually mentions his personal life events and how they related to McCartney’s music. Sorry…but I considered this TMI! I could go on, but what’s the point? Exactly! What’s the point to this book? Either too much info or not enough info…and the straw that broke the camels back and made me lose faith is this writing was the typo “Paula”. Seriously? Someone didn’t catch that?! For more information or to order this book, go to Amazon.com. I got the same feeling while reading this book…there were many times while he was reviewing a song that had to go back in the book to figure out which flippin’ song he was reviewing. I almost did not get past the foreword…too bad…he happens to be a really nice guy and donated 4 signed copies of this book for our raffle on last year’s Beatles Tribute Cruise. I have not had any feedback from the winners…LOL! I was excited to read this when I ordered it, however I too was very disappointed with its content. Disappointing is an understatement for what can only be described as a very poor book on such a huge subject. 40 years of solo music to discuss should require a book many many times bigger than this one. To say this is an in depth analysis of the subject is quite frankly laughable. it’s also as if the author has no thoughts or opinions of his own and has to constantly refer to other authors in particular John Blaney every time an opinion is used. I was so disappointed and annoyed at spending good money on this book when there are many far better ones out there. Save your money and put it towards one of those instead. 2 out of 10 and that’s being generous! !.